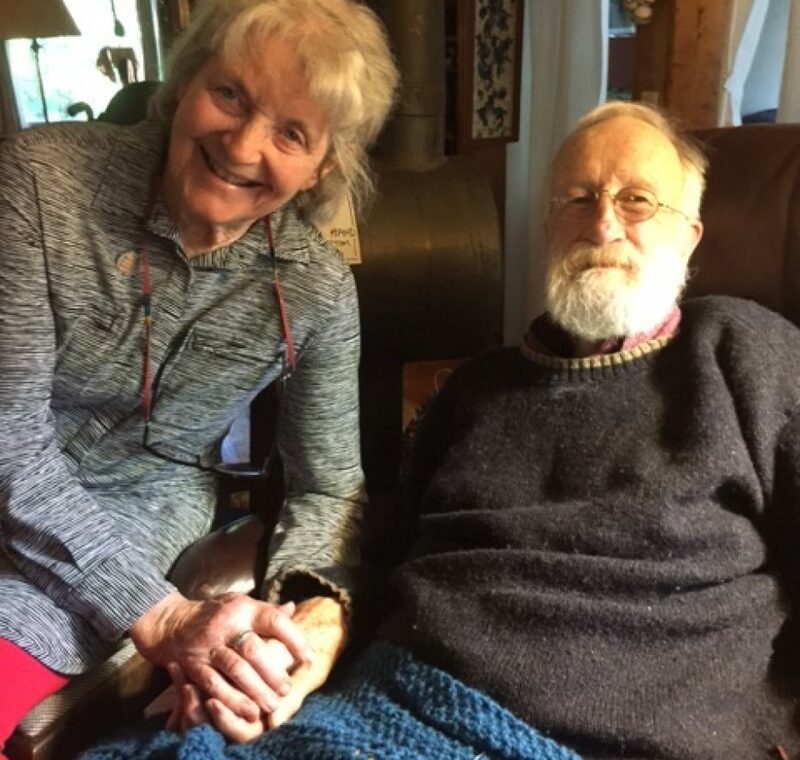 Recently we have figured out a way to get emails and pictures to Liz, my wonderful 81-year-old handicapped sister in Port Townsend. The supervisor at her sheltered housing has wireless at home and can take what we send to Liz and show her how to look at it. The following was part of the first bulletin. “Tom and I were over in Eastern Oregon last week and I had a long ride on this nice horse whose name was Scout. That person getting on her horse is the wrangler whose name is Sierra. She remembers every dog our family ever had, and I’ll try to send her a few pictures of them as we go along. The ride in question was through juniper and scrub, with regular glimpses of snowy mountains from the Three Sisters to Jefferson, Black Butte and north. My legs were less wobbly than I’d thought they’d be at the end. To get there we went up the gorge, turned south at Hood River, and climbed up through Odell, Parkdale, the mountain gleaming from a different direction at every turn. Upon arrival, we placed daffodils from home, Tom having his pipe after supper, the sound of the river from below. We were in the tree-tops. The junipers are a good 100 years old.